"Charles provided expert real estate services in assisting me to buy an investment property in Salina, Kansas in 2013. He did an outstanding job in understanding my objectives and finding properties that met my investment criteria. He has lived in the Salina area his entire life and is extremely familiar with the area. I would rate him as extremely responsive and trustworthy. His support in negotiating an acceptable agreement was invaluable to the outcome." - Jimmy Scott Denver, Co.
"Charles did an excellent job selling my home. He uses social media well to get your house out there for many people to see. We went through a lot of negotiating to sell our home and Charles stuck with me the whole time. He is a very nice guy and easy to work with. He had lots of open houses and kept me up to date with everything. 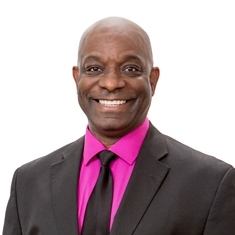 I would recommend having Charles help you with all your realty needs." "Bought a Single Family home in 2013 in Randolph, KS. I was having problems using the seller's realtor and was giving Charles phone number. From the moment I contacted him he resolved everything and got me a house at a great price. Thank you Charles"
"Bought a Single Family home in 2009 in Salina, KS. most real estate pros won't put your offer in they will put what they think they will take we saved a lot of money with the offer I wanted to put in, you have to know the market and he knows it very well , you have tried the rest now try the best Charles Ross thanks"